Situated just west of Fethiye Town and close to Dalaman airport, Gocek also boasts one of Turkey’s most prestigious and most used marinas. 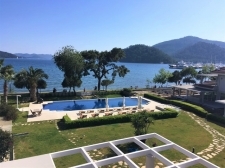 In spite of its fantastic location and use, property in Gocek offers a good deal of tranquility, beauty and charm. The closer the property to the marina the more life there is to be found although it is never fast paced. Instead, you will find that many of the properties in the region are owned by sailing enthusiasts who use the properties as stop off points on a cruise. 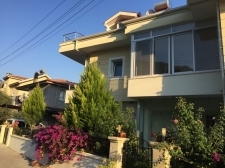 For this reason this lovely town isn’t all-year-round but there are some who choose to set up a permanent home in Gocek for the very same reasons; and because nearby towns are easily accessible. Most of the properties in Gocek are often a good size and set in and among the regions fantastic natural settings. 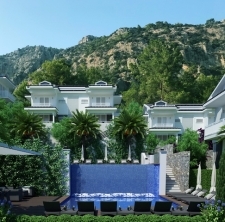 Gocek villas are often excellent build quality and offer a good amount of privacy. Those set in and among the base of the nearby mountains can also offer good sea-views without the premium prices of a marina property. Property in Gocek is for you, if you enjoy luxury, want to be close to a port, enjoy your privacy, and want to be close to nature.